Spider-Man: Into the Spider-Verse – SPOILER-SENSE IS TINGLING! Spidey has had a long and varied film career in the past two decades, and this new film is an animated one featuring several different versions of the character, based on a multi-universe event that happened in the comics. The main focus is on Miles Morales, the alternate universe Afro-Latino Spider-Man, who took over the role after his world’s Peter Parker died. The basics of his story in the Ultimate Marvel series are covered: his black policeman father, Latina mother, uncle he thinks is cool and is secretly a criminal, the genetically engineered Oscorp spider that bites him, his ability to turn invisible and produce electric shocks, and the boarding charter school he attends. I do have to wonder why a black guy would ever be named Jefferson Davis, unless the Civil War (not the Marvel Civil War) was also different in that universe. Miles runs into a plot by the Kingpin to use a dimensional portal to bring back his late wife and son, or at least some version of them, from an alternate world. I looked it up, and Vanessa and Richard Fisk are characters from the comics, but I don’t think Wilson’s trying to bring them back was ever a major motivator for him. The version of the Green Goblin is also from the Ultimate Universe, where he’s an actual genetically altered monster instead of just a guy in a suit; while the Spanish-speaking Scorpion and female Doc Ock were new with the film. I don’t think I’d previously heard of the other villain, Tombstone, at all. 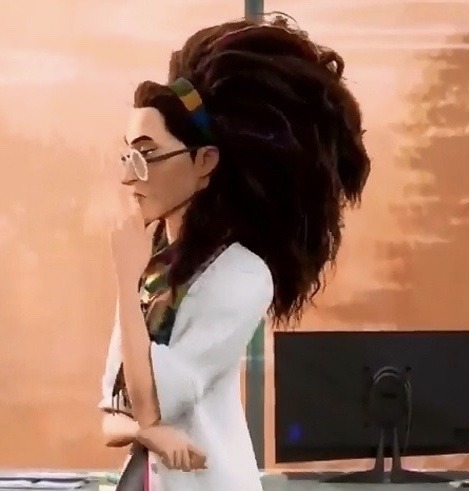 Dr. Olivia Octavius reminded me of someone, possibly another cartoon character, but I’m not sure who it was. There’s sort of a similarity to Emma Thompson’s Sybill Trelawney, but I don’t think that’s it. Anyway, the machine brings in a few different Spider-People from other dimensions: an older and more jaded Peter Parker who’s split up with Mary Jane and serves as a reluctant mentor to Miles, Gwen Stacy as Spider-Woman, Peter Porker as Spider-Ham, Spider-Man Noir, and the anime girl Peni Parker with her robot SP//dr. Spider-Ham dates back to the early 1980s as a self-parody from Marvel with funny animal versions of superheroes; the movie plays up his similarity to a Warner Bros. cartoon character, letting him use cartoon physics and gags. Spider-Man Noir, a 1930s hard-boiled detective, was introduced in 2013 as part of a darker universe; but the movie makes him more of a parody of the noir genre, complete with jokes about how he’s in black and white. Spider-Gwen and Peni were created for the Spider-Verse event in the comics, although the former has had a life beyond that. I really like the aesthetic of Gwen’s spider-suit. Spider-Verse is a good story, quite funny in spots while also compelling and poignant, and with some great interaction between the different Spiders. As far as the animation goes, it varies between more realistic and expressive and essentially a moving comic book, and of course veering into wacky cartoon and anime styles with the relevant characters. A few scenes from live-action movies were recreated in some of the introductions. It’s rather sad but quite apt to have Stan Lee’s character discussing someone’s death. And there’s a post-credits scene playing on the meme of two Spider-Men pointing at each other, which was taken from an episode of the 1967 cartoon show. So I guess Into the Spider-Chorus will be next? This entry was posted in Cartoons, Comics, Humor, VoVat Goes to the Movies and tagged aaron davis, dr. octopus, dr. olivia octavius, green goblin, gwen stacy, jefferson davis, kingpin, marvel comics, mary jane watson, miles morales, multiverse, peni parker, peter parker, robots, scorpion, sp//dr, spider-gwen, spider-ham, spider-man, spider-man into the spider-verse, spider-man noir, stan lee, tombstone, ultimate marvel. Bookmark the permalink.